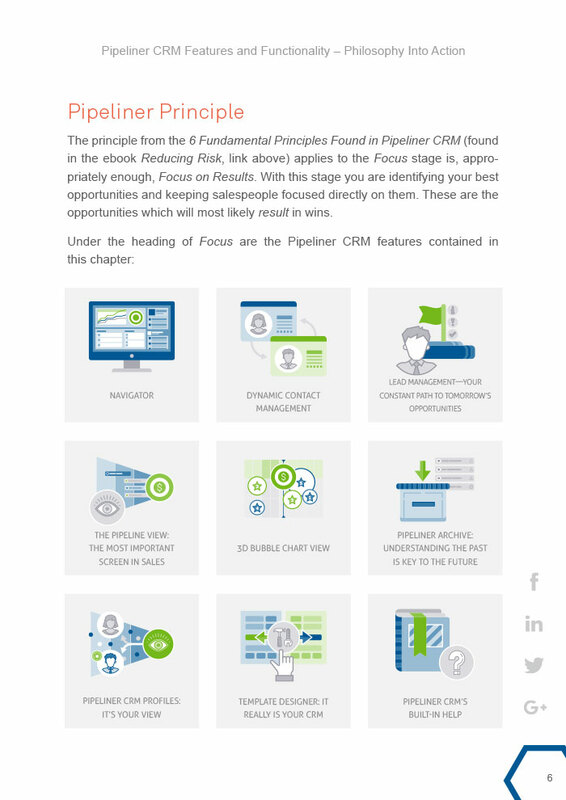 In our previous 2 ebooks, Theory Made Real and Reducing Risk, we demonstrated how Pipeliner CRM is the sum total, in the real world, of sound philosophical business principles. 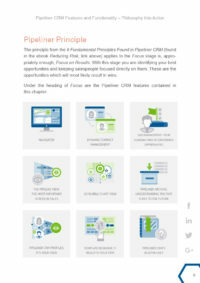 Theory Made Real explored the 6 basic principles that form the foundation for Pipeliner, with examples of how they are expressed in the product. 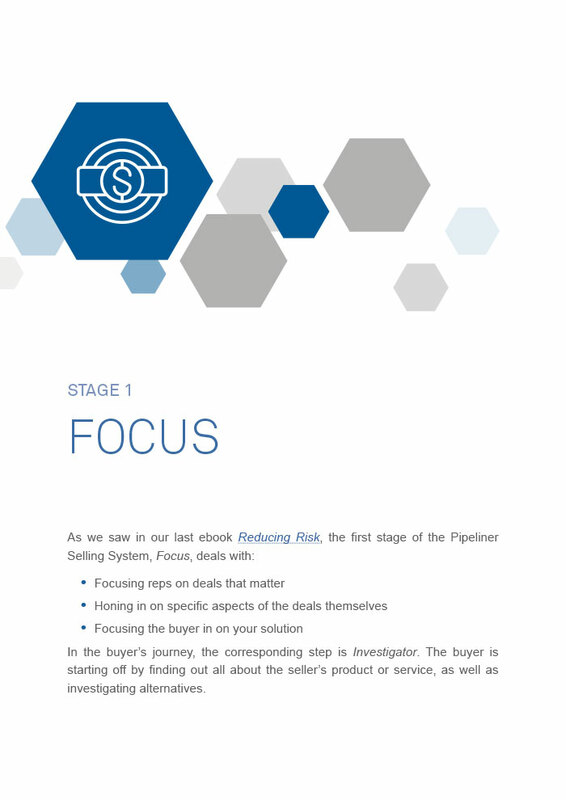 Reducing Risk laid out the Pipeliner Selling System, which follows the basic pattern of a sales process against the backdrop of the buyer’s journey, and how this, too, embodies the basic principles. 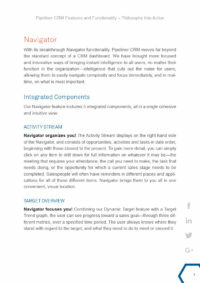 In this our third ebook in the series, we explore all the specific Pipeliner CRM features—many of which are totally unique in the CRM market—and how each of these reflects the philosophy which inspired it. Our goal with this book is to bring the reader an understanding of the power that Pipeliner can bring to a sales organization and business, and also to provide a continuing overview of the applicable principles on which any business is based. 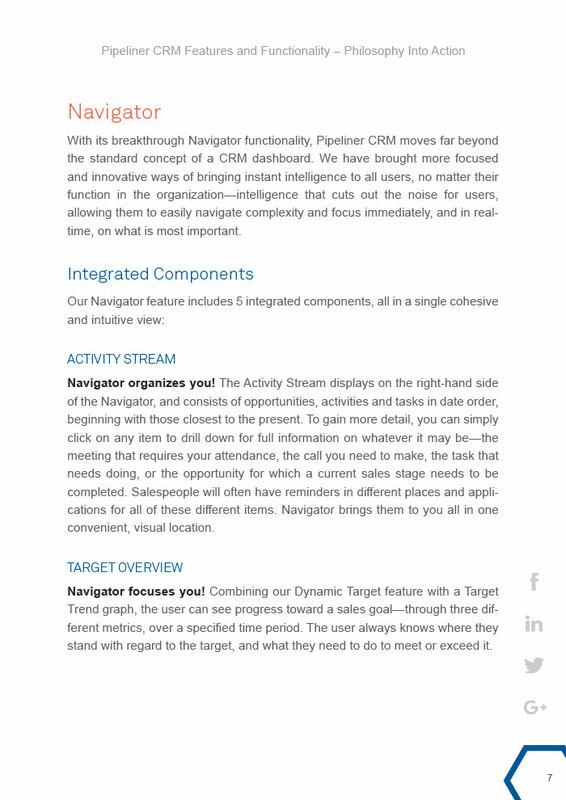 The second stage of the Pipeliner Selling System, Engage, means reaching out and touching this prospect, getting involved with their particular company and issues, and accomplishing the actions necessary to move them to the next stage toward a sale. 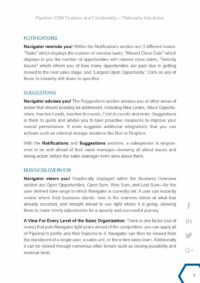 At the third stage of the Pipeliner Selling System, Convince, you are convincing the buyer—and all decision-makers and influencers at the company acting as evaluators—that purchasing your product or service is absolutely the right thing to do. It is at this stage that the sale is made. 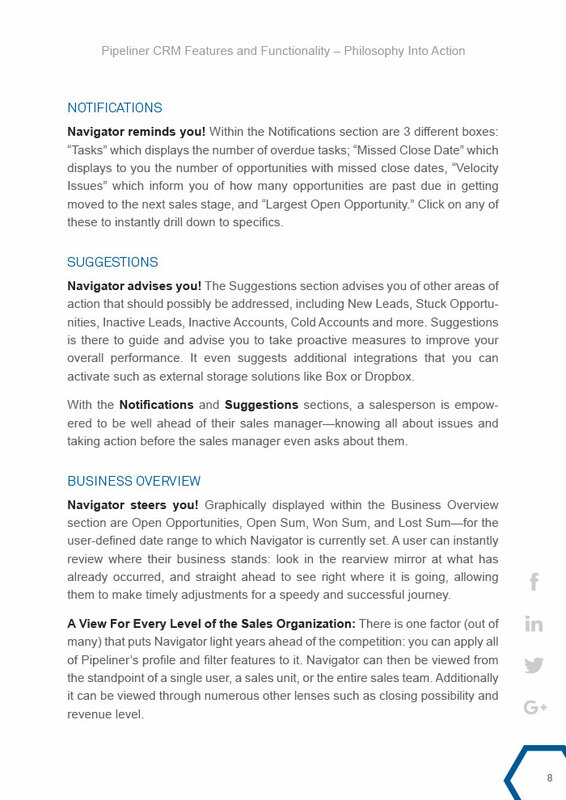 At the fourth stage of the Pipeliner Selling System, Close, your buyer has become a customer. Ultimately your aim is to move that customer into the next and final stage of the Pipeliner Selling System, Cooperate. At that point your customer has become an advocate—and is much more of a partner than a customer.